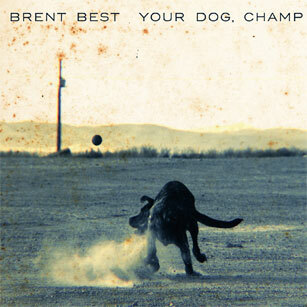 Brent Best isn’t known for happy songs and Your Dog, Champ doesn’t break with that tradition. There are quite a few tracks on here that are downright dark and shouldn’t be listened in the depths of drinking alone at night. Honestly “Good Man Now” is pretty disturbing but it’s a testament to the strength of Best’s songwriting in that it’s deeply dark, a song about patricide by a child, and still a great song that demands your attention and keeps you riveted while you squirm a little because of the content. Not satisfied with sticking to the darker side of the coin Brent treats us to the lighter side of things as well with tracks like “You Shouldn’t Worry” and “Queen Bee” and even tosses in the love song, “It Is You”, for good measure. What does remain constant is Brent’s ability to write and he is really in top form here. I am a huge Slobberbone fan but this is his best writing to date. Whether he’s singing about someone slowly dying in the back of a car on “Aunt Ramona”, skipping lightly through memories on “Queen Bee”, or describing yet another dysfunctional family in “Daddy Was a Liar” there’s a poetry to all of it that puts far and above most other people writing songs today. It takes balls to write some of the songs Brent has penned over the years but it takes skill to make them something that you want to listen to. There’s plenty of songs out there written to shock or disgust that deal with the topics that are taken on here and those elements just aren’t present in the writing on Your Dog, Champ. There’s something about the way Brent presents things in such honest terms that almost makes it seem like these scenes are viewed through the innocence of a child while at the same time giving you the sense that he truly understands the dark places in all of our hearts. I’m not sure what I expected from the music on this album but whatever that expectation was went right out the window when I queued it up. This isn’t a Slobberbone record nor is it a stripped down acoustic sound. The instrumentation is a full band with just the right amount of twang to suit the slight drawl in Brent’s singing. It also seems that the tempo and style are perfectly fitted to each song and “Tangled” is the perfect example of this. The rhythm drags while a fiddle cries in the background as Brent regales us with poetry as confessional. Between the music and the lyrics there are definitely some ghosts being exorcised in these songs and we get to be privy to it via our speakers. Overall this record is so well put together that it currently tops my list for 2015. It is, without question, Essential Listening! This record was certainly worth the wait although it should come with a warning label that reads: CAUTION: Do not take alone with whiskey in the dead of night. If you don’t already, be sure to follow Brent Best on Facebook as well as Last Chance Records. You can grab Your Dog, Champ at the Last Chance Records online store if you haven’t already picked it up. I’m defiantly going to pick this one up! Thanks for making me aware! You certainly are not kidding about the dark subject matter. Bleak as hell really. Bleak yes, but well done bleak! This is still in heavy rotation for me.